Let me build you a custom Double Decker Bike or a custom Swing Bike. "There's never been anything like it. It may look like a sleek "High-rise" ... but with the turn of a coupling, the rear wheel becomes steerable." 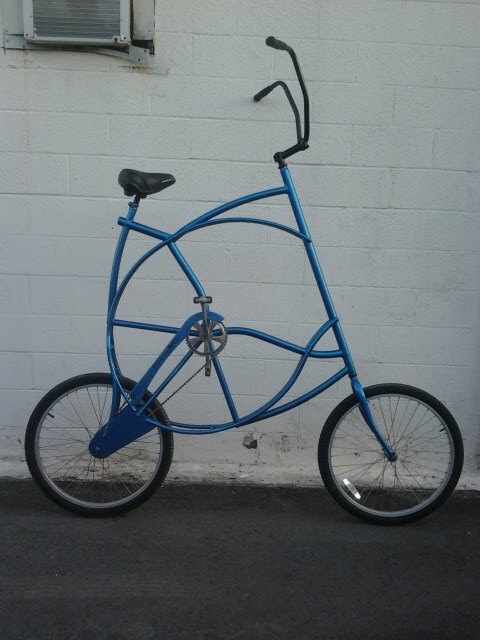 The Swing Bike is so unique that it was patented!